Pascale Hares was born, raised and taught right from wrong in Beirut, Lebanon. Having drawn little girls in cute outfits throughout her childhood, she chose a creative path. After earning a MA in graphic design and advertising, Pascale worked night and day in big shot agencies until she was fed up and quit everything to search for her happiness. She now lives in the mountains with her husband, their two boys and a yellow Labrador, who is fortunately a female. She works from home creating logos, identities, illustrations and recipes for good people. 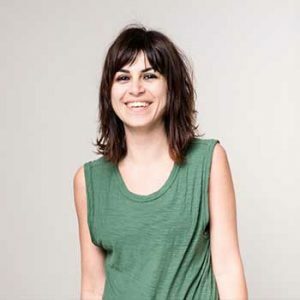 She has kindly donated her time to create the concept of the Slow Food Beirut website and many other material.